We had a great week away from home for the Fungal Foray. The weather was"Absolutely Positively" marvellous for the whole time, though I must say that the whole country had the driest and warmest autumn on record. The Boys Brigade Camp at Wainuiomata (near Wellington) was very satisfactory, thanks to a lot of work on the part of Ron Freeston in putting furniture in the right places and liaising with the caretaker. 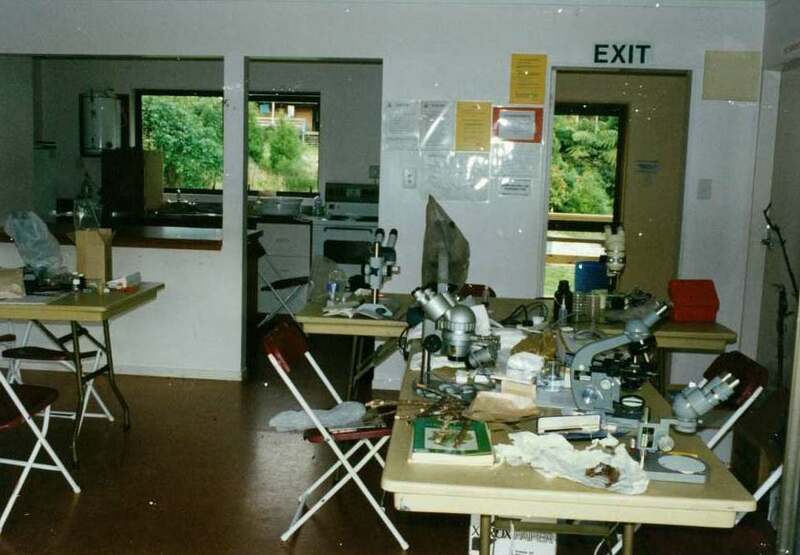 Microscopes from Victoria University were installed in their own workroom, and the nearby kitchen benches used for displaying specimens found, and for setting up the dryers. The outing on Tuesday took us to the Wainuiomata Catchment Area, where we were dwarfed by the magnificent rimus, ratas and kahikateas. The bush has never been milled, and it must surely be the best piece of lowland forest still remaining in the North Island. Most interesting find here was Phallobata alba (= Hysterangium lobatum, type locality Whakatikei Forest Reserve, Paekakriki), a white fungus of jelly-like consistency made up of erect lobed fingers. 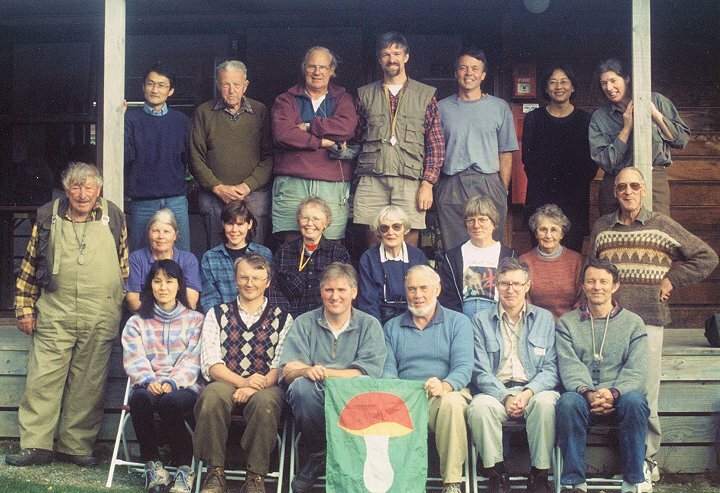 That evening we saw slides by Ron and Angela Freeston, heard from Peter Johnston about the exotic weed fungi Amanita muscaria and Favolaschia calocera spreading into native forests and his proposal to map their progress, and Peter Buchanan spoke about revising the New Zealand polypores with Norwegian expert Leif Ryvarden. 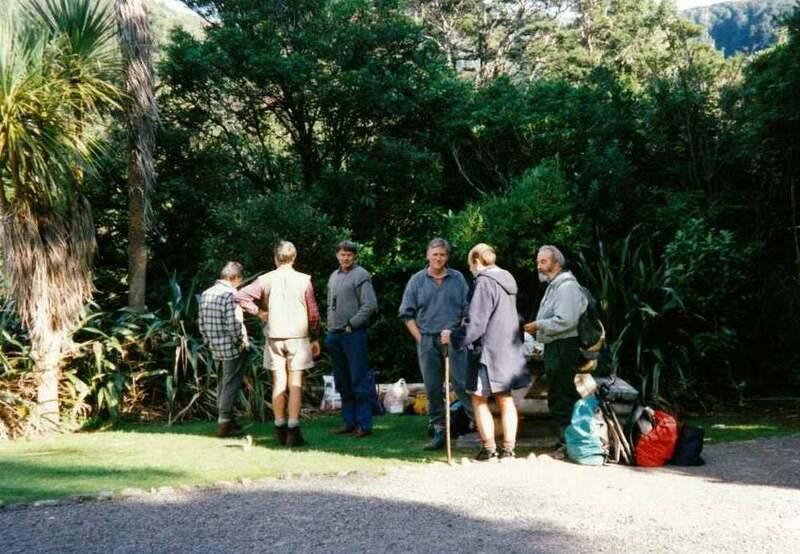 Next day was to Kaitoke Regional Park at the Pakuratahi River forks. Here was mixed forest and beech forest, again with forest to the ridge-tops. 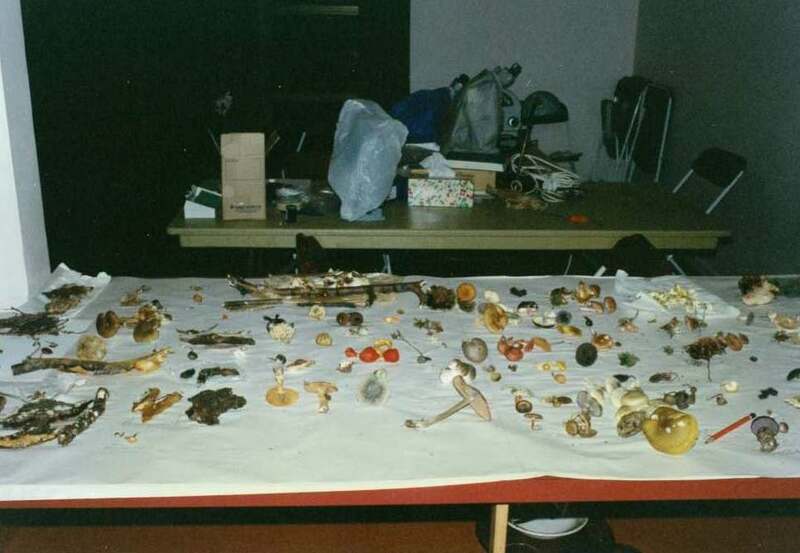 That evening we saw slides of fungi from Don Horne, heard about and saw Norway with Leif Ryvarden, then saw myxomycete cultures and heard about her work from Ann Bell of Victoria University of Wellington. 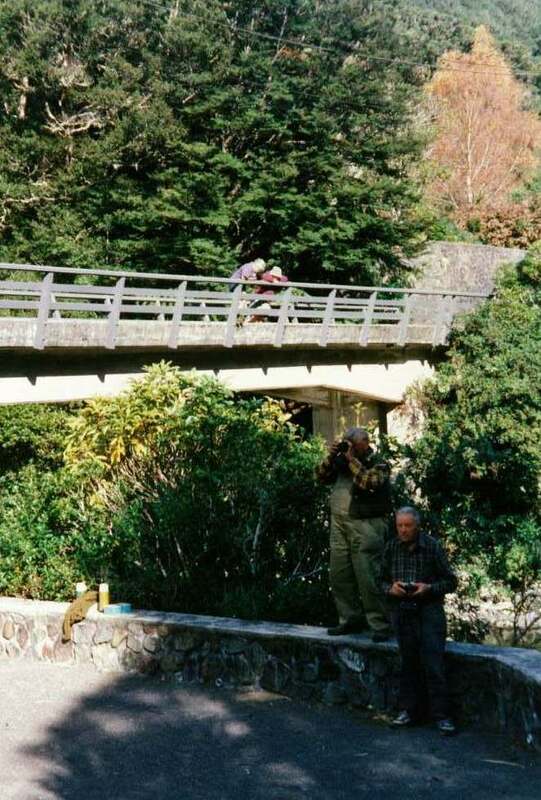 The final day saw us torn between an expedition to Butterfly Creek or the Orongorongo Track, with the close proximity of the latter winning out. Again there were many interesting finds to study and photograph. The pessimists who thought that it might be too dry for fungus collecting were partially right, in that we saw some mushrooms shrivelled by the fine weather, but there was plenty to interest still in good condition, just about all of Geoff Ridley's named species of Amanita. Also these collecting grounds were the type collecting areas for species named by Greta Stevenson in her Kew Bulletin papers. That evening Heino Lepp told us about Norfolk Island and its fungi, and Peter Austwick showed an interesting collection of fungal books, both antiquarian and modern, and told us about them. Isawa-san had also displayed some of his postcards and magazine illustrations of fungi, including his magnificent close-ups of myxomycetes. Many of us sighed that we couldn't read the Japanese text.